The resistance can not be adjusted during use: the cable for the correct transmission of the brake resistance is ripped from the knob, or unlocked, or the knob is broken (for some crosstrainers it may also be that the actuator does not work properly). Parameters on the display are not displayed: the cable that leads the signal from the speed sensor to the computer may be faulty, or the sensor or the computer itself is defective and must be replaced. Pedal crunch: a pedal may be defective or the pedal pad is to be replaced. Noise from the handlebar: here a pin or bearings may have been damaged. Replacing the bearing and / or pin must be done professionally. As a special subgroup of ergometers and cross trainers, there are ellipticals with the flywheel at the front, under the handlebars. 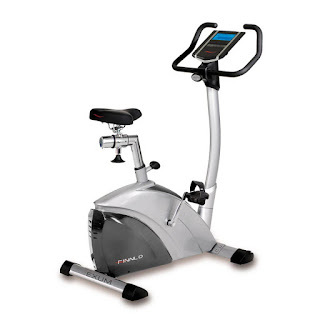 Some specific problems may arise with those ellipticals. The flywheel produces loud noises during training: here the flywheel must be removed and replaced with a new one or the ball bearings in the flywheel are blocked (this should always be done by an expert).